If you’re in the market for a new hunting tent, you might want to make sure you are getting the right one for the job. There are different types of tents and they all have something different to offer. 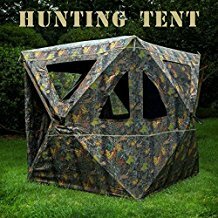 In this article we will be looking at the various types of existing hunting tents and what sets them apart. Once you acquire this knowledge you will be able to easily find the best canvas tents of 2017 or any other tent that suits your needs and requirements. With that said, let us waste no more time and start looking at the different types of tents available on the market. The name for this type of tent isn’t accidental as it derives from the implication of your truck’s bed into the mix. Unlike other tents, this one is specially made so that it fits in your truck’s bed and makes it a living space altogether. It’s quite an interesting buy and definitely a very benefic one that will allow you to have a tent ready to go while you’re on the move. Keep in mind however that a truck tent isn’t a solo mission and installing it is a two man job. So unless you have a hunting buddy, this might be difficult to use. In the winter, the rules of the game change and many people feel like they’re freezing to death in their regular tents. You can avoid becoming one of them by staying warm enough in the winter time. That can be done with the help of a winter tent which is specially designed to keep warm in and the cold out. If you plan on doing more than just wait around in your hunting tent, you should know that winter tents usually come with stove vents. Tree tents are rather new to the party in comparison with all the other available tent models, but it promises a really great design and experience. With tree tents, you can have your tent hover over the ground and even lift it at a respectful distance from the soil. You would want to do this when the ground is not leveled and actually having to lay on it, tent or not, would be sure to inflict some physical pain. 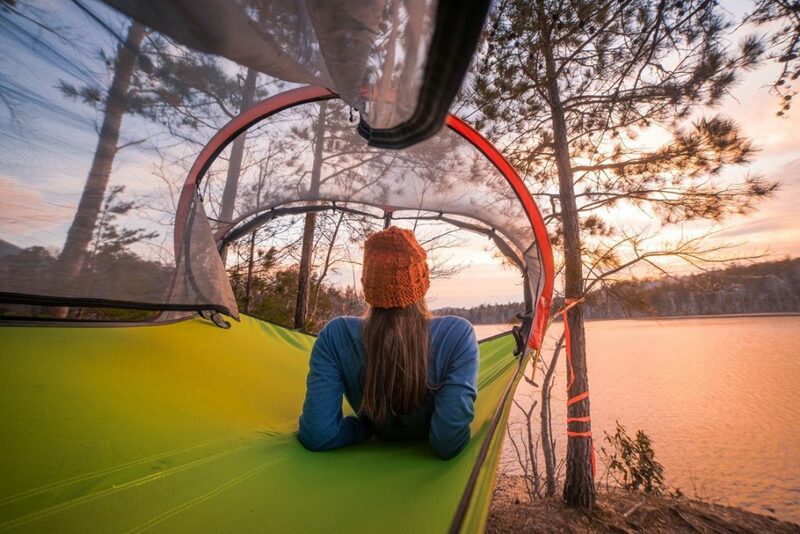 All that can be avoided however as the tree tent is great for using three suspensions wrapped around the trees to pull and make the tent float. The name of this one might have given away its main prowess, which is the fact that it can be used in virtually any season or weather. These tents are made to last a long time thanks to how resistant they are to all forms of weather from snowing and raining to the chilly winds and over-hot heat waves. The last thing you want on your mind when you’re in the tent is the weather, but luckily you won’t have to as this type of tent is bound to keep you safe. This entry was posted in Year Zero Survival Blog and tagged backpacking, camping, fishing, green living, hiking, hunting, outdoors, Preppers, prepping for survival, SHTF, survival, Survival gear, survival hacks, Survival Hunting: Know How, survival skills, survival tips by Guest Writer. Bookmark the permalink.